Completed houses at Austin Perdana, Johor Bahru. Anti-speculative devices such as the Real Property Gains Tax for real estate are necessary to arrest undue speculation, control property prices and contain emerging property bubbles, timely. The Global Financial Crisis (GFC) of 2007/2008 is a watershed event that calls into question the robustness of the global financial system. The system itself, to take a long view,is a continuously evolving system. Crises and events in the past have aided in the evolution of the system and this recent crisis ought to spur even greater evolutionary improvements and that includes down-the-line restructuring of real estate markets (clearly central to any modern economy) and the valuation profession (central to a modern and efficient real estate market). What caused the crisis? Roberts Samuelson in his book The Great Inflation & Its Aftermath takes a board view, spanning 40 years, as he builds up to the crisis. He focuses on the rise of inflation in the 70s (the oil shocks being symptoms rather than causes) to heights of 13% per annum in the United States and the subsequent taming of it by Paul Volcker (Federal Reserve Chairman) as an important background setting for the subsequent, extraordinarily low interest rates regime (easy money) that enabled the unusual economic conditions, among other parallel frameworks, for the tech bubble to form and burst, in 2000, and then shift into the housing bubble, that also burst, in 2007, and which precipitated the global financial crisis. Joseph Stiglitz in his book Freefall identified that a root cause of the crisis was the stagnant household incomes of the United States and said that house prices began running in parallel with increasing household debt. Is the crisis over? Yes, by many who point out that the synchronised actions taken by central banks in 2009 averted “a depression greater than the Great Depression”. No, by many others who feel that the loose monetary and fiscal policy engendered by QE1 (quantitative easing) and QE2 and other measures, may have saved the world from a depression greater than the Great Depression, but the measures are temporary stop gap measures that have not restored underlying aggregate global demand on a more permanent basis and more importantly have not solved many of the ills in the global financial system for it to go forward on a more sound footing. Standing at this point in time, post a few months of heightened turmoil caused mainly by the Euro Zone debt crisis, and the US credit rating downgrade and anaemic recovery and growth, there are very serious concerns about the global outlook. The outlook for Asia looks more promising but that too must be viewed with a jaundiced eye as the global economy is more linked that most admit or know and the majority of final demand still emanates from the west. Real estate plays a complicit role in financial crises. In the Japanese decades-long economic downturn, it began with the bursting of a highly inflated real estate bubble. Twenty years later house prices have retreated from highs of 18 times household income to a benign six times. 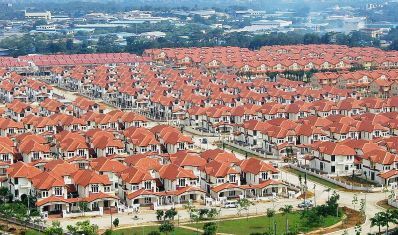 The Asian Financial Crisis of 1986/97 was one which afflicted this region and we in Malaysia have very personal and clear memories as to the role played by real estate in the build up to the crisis and the subsequent bust. Luckily for us, taking the cue from the formation of the Resolution Trust Corporation in the United States Savings and Loans crisis, we formed Danaharta which acquired bad loans from banks and financial institutions, timely, and restored the banking system and put the economy back on track, quicker. As for the GFC itself, there would be few who will not be able to appreciate the complicit role of real estate. As the Federal Reserve cut interest rates after the Tech bubble burst, the final run up to the housing bubble began. By late 2005 and early 2006 there were many who saw that the peak was at hand (those who saw it coming) but who could not stop the process because the bigger system had a life of its own. One must acknowledge that it is not possible for smart people to stand in the way as bubble go on self-sustaining, aggressive build up when “the herd is in a full run”. When the bubble burst in 2007, fingers initially pointed to the “sub-prime” mortgage market with the suggestion that that was a small part of the housing market in the United States and that it was not a very serious problem. But the so called sub-prime mortgage crisis rolled on and morphed into a full blown housing crisis which went on to affect the huge edifice of structured securitised products that were built upon the housing market (collateralised debt obligations) and these markets froze, which resulted in a credit crisis, so big, and which reverberated around the world, in a way that suggested a global depression, greater than the Great Depression. When the tech bubble burst in 2000, the world was not brought to the edge of the financial cliff. But when the housing bubble burst, that was exactly what happened. When asked, the Nobel Prize winning economist, Paul Krugman said that the stock market bubble burst was not as impactful as the subsequent housing bubble burst because it was “widely diffused”. Seven years later, when the property market bubble burst, the impact was substantial because it was concentrated in the financial sectors and there were large edifices of new financial products built upon it, the tentacles of which were global in reach and the cascading knock-on effects, global in extent. To prevent or tame the emergences of financial crises, we ought to also better understand the fundamentals that drive property prices and contain emerging property bubbles, timely. Is this possible? Monetary policy by itself it is said is not good enough to control the formation and development of real estate bubbles. We need, instead or additionally, permanent, anti-speculative devices such as the Real Property Gains Tax for real estate so that its rates can be adjusted timely to arrest speculative fervour, as well as administrative devices such as directives that tweak property rules appropriately to derive the desired result. Many East Asian countries, fearing the flow of speculative funds into their markets from carry trades have tweaked loan-to-value ratios, introduced sellers stamp duties, required banks to stress test based on percentage increases in interest rates as to their mortgage portfolios and so on. For residential properties the generally recognised key fundamentals that drive house prices are household income levels since residential properties are largely bought for owner-occupation. In most matured economies, when they are not inhabited by undue speculation, they reflect an average household income to house price ratio that revolves around three times. In many emerging markets, for various reasons, the ratio can be higher and even more than ten times is evident today in some hot spots around the globe. In Malaysia, the long term ratio is four times. When the ratio moves up it is an indication of a bubble formation in the market and market participants and regulators should stand alerted. A second fundamental that drives the residential market is rental returns, because apart from owner occupation, houses are also purchased for investment purposes. Net returns from residential property usually occupy a lower value, in the hierarchy of returns. In Malaysia the residential rental returns are 3% to 6% net depending on whether it is a landed property or a strata property and depending on a number of other factors. The range itself moves glacially over time depending on risk levels in the general market, and again, in Malaysia, over the past few decades yields have been moving downwards in sympathy with the era of easy money worldwide and its effect on asset returns generally. With the coming to the end of this long period of easy money, post the global financial crisis, the trend should be for the entire spectrum of residential yields, other property yields in general and global asset yields to be moving north. Valuers, who undertake professional valuations on a day to day basis in the residential market are well placed to upload information on the property market to market participants and other stakeholders in the property market, including regulators, and this upward flow of information into the market helps to stabilise the market and alert all involved when the market is in need of tweaking towards fundamentals. The fundamentals that bear watching for the office market are rents, but rents are a function of business profitability. Ultimately the profitability of businesses in any city sets the sustainable level of rents for that city and it also explains the different levels of rents that prevail in different cities. In Kuala Lumpur the long term yield for Grade A office space has been about 7% net. From time to time this yield has compressed to lower numbers, as low as 5%, but over the long term the market seems to return to the equilibrium level of 7% when the exuberance dies. The fundamentals that drive the retail sector are also rents but rents for this sector are driven in turn by retail turnovers and it is this that bears closer monitoring. Turnovers depend on the multitude of shoppers including tourists. In Kuala Lumpur the long term rental return on average for the Grade A, downtown shopping centres used to be about 8% but this is, I believe, on a structural transit towards 7% as shopping centres become more mainstream assets. Real Estate Investment Trusts or REITS have helped and are continuing to help in this re-rating. The fundamentals that drive the hotel industry are usually a combination of sustainable average room rates and average occupancy rates. This business income can be translated to an equivalent yield that usually sits on the higher end of commercial property yield spectrum. By understanding the workings of the property market through the key driving fundamentals and by the dissemination of that market information to market participants and other stakeholders in the property market, we can prick real estate bubbles. Professional Valuers who operate in the market on a day to day basis, can help enormously in bringing about stability in the market. The greater use and appreciation of valuations help in diffusing real estate bubbles and bring about financial stability. Elvin Fernandez believes in the free market and timely nudging by policy makers and key market participants to iron out any, and only where needed, imperfections in the system. To do this, and over time, they need a steady stream of in-depth market knowledge and insight. SINGAPORE: YTL Corp may begin selling its luxury home project in downtown Singapore in the first half of 2012, more than four years after buying the site, as the Malaysian developer expands its holdings in Asia. The project, converted from an old apartment building on Orchard Boulevard that the company purchased in 2007, will have 78 units targeting wealthy Asian buyers from countries including China, Indonesia and Malaysia, according to Kemmy Tan, the head of YTL's real estate unit in the city-state. YTL managing director Francis Yeoh has been expanding outside of Malaysia into the real estate markets in countries, including Japan, China and Singapore to take advantage of Asia's growing affluent property investors. The group also has businesses in utilities and cement. "Wealthy Asian property buyers have now gained more exposure to more sophisticated life-style and design," said Tan, adding that she estimated buyers would probably be willing to pay a 20 per cent premium compared to regular prices for the design by a renowned architect. The project will be designed by Antonio Citterio, an Italian architect whose work includes the Bulgari Hotel in Milan and Bali and the Ermenegildo Zegna Group's new Milan headquarters, marking his first residential project in Asia. YTL bought the original Westwood Apartments building for S$435 million (RM1.06 billion) in 2007, a record at the time for the purchase of an existing apartment through a so-called en- bloc sale. It had since leased out the units. Tan declined to say how much YTL would sell the units for, which will have areas of between 1,000 and 3,500 sq ft, adding that the average prices of luxury apartments in the area ranged between S$3,800 and S$5,000 a square foot (RM9,300 and RM12,200). St Regis Residences, a five-minute walk away, was last purchased at S$2,776 (RM6,777) a sq ft in September, while the Marq on Paterson Hill and Orchard Residences, about 1km away, sold homes at more than S$4,000 (RM9,766) a sq ft, government data showed. The Kuala Lumpur-based company is the biggest shareholder of Starhill Global REIT, a Singapore-based property trust that owns stakes in the city's retail malls such as Ngee Ann City and properties in Tokyo's Roppongi and Daikanyama shopping districts. KUALA LUMPUR: Permodalan Nasional Bhd (PNB), SP Setia Bhd and Tan Sri Liew Kee Sin have proposed to enter into an agreement to formalise the incentives and management rights relating to the management and general conduct of the business of SP Setia group. In a filing with Bursa Malaysia, SP Setia said Maybank Investment Bank Bhd had submitted an application for the proposed arrangement to the Securities Commission yesterday. It was previously reported that PNB, the major shareholder of SP Setia, had proposed to take over the property developer. The national and largest fund manager had acquired 9,139,800 shares in SP Setia in the open market for RM3.88 each. It had also bought 1,059,300 warrants of SP Setia for 89.5 sen each. Dorsett Regency Kuala Lumpur: KHI has big aggressive plans in Malaysia. KOSMOPOLITO Hotels International Ltd (KHI), a subsidiary of Hong Kong-listed Far East Consortium International Ltd, is optimistic about its growth prospects in the region. KHI executive director Winnie Chiu says the hospitality sector in Asia is benefiting from the advent of budget air travel. “The budget airlines have actually revolutionised the hospitality sector. For those that didn't have a budget to travel, they now can. For customers who previously spent 50% on air travel and 50% on hotel stay, they may only need to spend just 20% on their travel expenses,” she tells StarBizWeek in an interview. To leverage on this, Chiu says KHI will be boosting its brand of “Asia-inspired hospitality” in countries where it is already present. KHI was set up in January 2007 and is listed on the Hong Kong Stock Exchange. It owns and manages four key hotel brands in different market segments Boutique Series by Kosmopolito, Grand Dorsett, Dorsett Regency Hotels & Resorts, and Silka Hotels, which can be found in Hong Kong, Shanghai, Chengdu, Wuhan, Singapore, Malaysia and London. KHI senior vice-president of sales and marketing Philip Schaetz says the company has 17 operating hotels in Asia and seven new ones in the pipeline. He says KHI has different strategies to promote its four core hotel brands. However, Schaetz says KHI prefers to categorise the Dorsett Regency more as a “four-star-plus” offering to attract customers. Schaetz says that KHI's Silka Hotels are categorised more as three-star-plus hotels so as to differentiate itself from other three-star hotels. 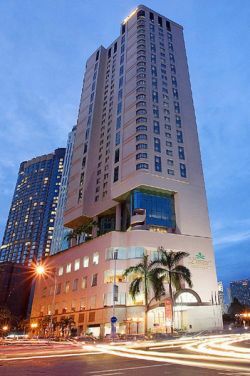 The Silka Hotels are usually located near shopping enclaves, tourist attractions and business districts so that they provide good base for business and leisure travellers. To promote the Silka brand, Schaetz says the hotel ties up with a number of retailers in the city to provide special promotions to its customers. “We have a programme called Stay, Shop & Save,' involving Silka hotels and retailers in the city where customers can get a discount when they produce their room key at the retail outlets where they are shopping. Schaetz also points out that as the usage of technology is crucial, KHI, through various partners, is implementing a central reservation system in its line of hotels to stay ahead of the competition. “This will push out our room inventory much faster in the market and let the customer know what the best deals are,” he says. Chiu says KHI plans to launch its hotel in London between 2014 and 2015. Chiu says KHI currently has no plans to expand its presence in other non-Asian countries. “We're always looking for more opportunities but we have a disciplined strategy when it comes to buying land. In London, we looked for one-and-a-half years before finally deciding to build a hotel there. We want to have a strong footprint there before looking elsewhere. “The hotel industry is a cyclical business and with 24 hotels, we have good cashflow to strengthen to build the brand further. KHI vice-chairman Datin Jasmine Abdullah Heng says the company plans to have at least five ongoing projects in Malaysia that it plans to launch within the next 12 to 24 months. She adds that KHI is also aggressively looking for land to build new properties, primarily in Kota Kinabalu, Penang, Langkawi, Kuantan and Malacca. Chiu adds that the advent of low-cost travel will be a boost to the hospitality sector in Malaysia. “We're very bullish about Malaysia and have big aggressive plans for this country,” she says. A DEAL for a developer to redevelop one of the state's oldest landmarks on Penang Hill - Crag Hotel - appears to have stalled, due to an alleged exclusion of surrounding properties in the hotel's vicinity. Business Times has learnt that although Sri Nisuh Sdn Bhd had been initially promised several bungalows adjacent to the historic hotel when the contract was discussed, the bungalows did not find their way into a draft agreement. "It was promised that three bungalows adjacent to Crag Hotel would be integrated into a memorandum of understanding between the Penang authorities and developer," a source said. "However, the said properties were excluded by the State Secretary in the draft agreement." In May, the state government announced that Amanresorts International Pte Ltd would run the famous Crag Hotel on Penang Hill, which was one of the earliest hilltop homes and later turned into a hotel in 1929. The hotel has been in a neglected and derelict state since 1977 after the International School of Penang (better known as Uplands School) vacated the premises and moved to George Town. The project was reported to have been awarded in April to Sri Nisuh Sdn Bhd and the company was said to be investing US$12 million (RM38.04 million) to finance the project, which was to be completed within 30 to 36 months. Chief Minister Lim Guan Eng was quoted at the end of May as saying that redevelopment project would take off after an agreement was inked between the developer and the state government two weeks after he made the announcement. He said the Aman Group would be awarded a long-term contract tenure by the state to manage the property. Three months ago, Amanresorts' Press Office media communications manager Anjali Nihalchand said that the firm would be forwarding its proposal to the state's Chief Minister Incorporated on September 5 for final approval. When contacted yesterday on the status of the approval sought from the state authorities, Anjali said in an email that there were no current updates as "this is still at its very early stage and we have not got anything further to share at the moment". State-owned Penang Hill Corp director Datuk Lee Kah Choon did not comment on whether approval had been granted yet to the developer of the proposed project. "This is a state project," he said in a SMS reply, "and you may wish to check with the State Secretary's office." State Secretary Datuk Fariz Darus did not respond to an email enquiry from Business Times. KUALA LUMPUR: Glomac Bhd net profit for the second quarter of its financial year ending April 30, 2012 rose 49.7% to RM23.8mil compared with RM15.88mil posted in the same period a a year ago. For the first half of its financial year, Glomac achieved revenue of RM262.7mil and pre-tax profit of RM66.6mil. This translates into an earnings per share of 7.1 sen, an increase from 5.4 sen in the previous corresponding 6-month period. Group executive chairman Tan Sri F.D. Mansor said: “It was another good set of results. Contributions from ongoing projects such as Glomac Damansara and Glomac Cyberjaya, as well as launches in our townships Bandar Saujana Utama and Saujana Rawang, continued to drive group earnings. KUALA LUMPUR: Glomac Bhd said its second quarter net profit jumped 50 per cent to RM23.8 million from RM15.9 million in the same period last year. However, revenue fell to RM134.8 million from RM140.9 million last year. In a statement to Bursa Malaysia, the company said the decrease was due to completion of two projects, namely Glomac Tower and Glomac Galleria. Its group executive chairman Tan Sri FD Mansor said the company “has a strong pipeline of strategic projects with a total gross development value of RM2.6 billion for launch beyond this year”. PETALING JAYA: Mah Sing Group Bhd's wholly-owned subsidiary Grand Pavilion Development Sdn Bhd will jointly develop a parcel of prime land with Asie Sdn Bhd and Usaha Nusantara Sdn Bhd. The 4.08 acres site, situated along Jalan Tun Razak, Kuala Lumpur, forms part of the approximately RM9bil 58-acre riverside urban regeneration project.